Much of being a safe driver is being fit to drive in the first place and knowing when this is the case. When we discuss driver fitness we tend to refer to sobriety, fatigue, eyesight etc - all those conditions that might impact on the ability to see, think, and move well enough to safely operate a vehicle. In this section, we would like to investigate the importance of an often overlooked factor – physical fitness of the driver. 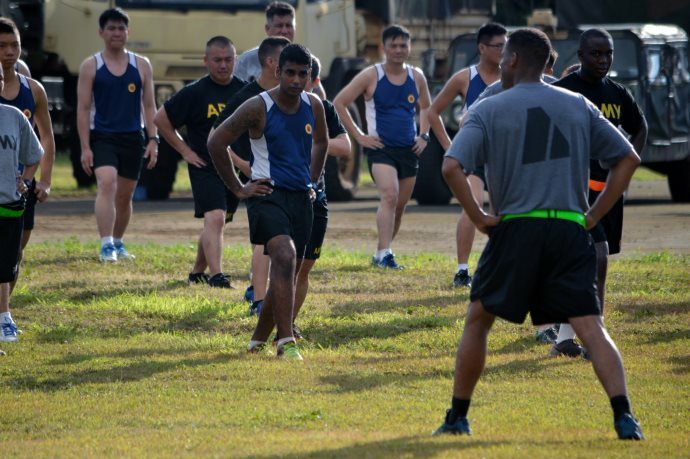 Physical fitness is used in two close meanings: general fitness (a state of health and well-being) and specific fitness (a task-oriented definition based on the ability to perform specific aspects of sports or occupations). Driving a vehicle is a physical activity, and a driver who gets no physical exercise may not have the required strength, flexibility, or coordination to control and operate a vehicle safely. Drivers who monitor and keep track of changes in their eyesight, physical fitness and reflexes may be able to adjust their driving habits so they stay safe on the road. Physical fitness is the functioning of the heart, blood vessels, lungs, and muscles at optimum efficiency. Physical fitness is now defined as the body’s ability to function efficiently and effectively in work and leisure activities, to be healthy, to resist hypokinetic diseases, and to meet emergency situations. Fitness can also be divided into five categories: aerobic fitness, muscular strength, muscular endurance, flexibility, and body composition. When you optimise your fitness, you improve your concentration skills, stamina and fatigue resistance and thereby might be enhancing your safety on the road. It has been found that drivers have to make about 15 major decisions for each kilometre driven, each requiring almost immediate action. Experience and mature judgment are important, but older drivers often process information more slowly. Older drivers are generally safe and conscientious drivers - for some seniors, the physical changes of ageing can, however, interfere with driving responsibly and safely. As the number of older drivers’ increases, concerns about the safety implications have been raised as well. These concerns relate to the flexibility, coordination and speed of movement when controlling a vehicle on the road. It is important to note that driving skills of senior citizens might be improved by regular exercise. Older people who performed a physical conditioning program developed by researchers at Yale School of Medicine were able to maintain or enhance their driving performance, potentially leading to a safer and more independent quality of life. It is advised that elderly drivers exercise regularly. 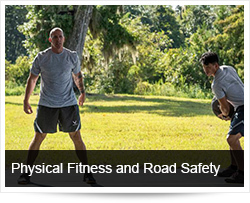 Physical fitness is essential to safe driving, especially for seniors. Exercise can be as simple as walking for at least 20 minutes five times a week. Gardening, golf, tennis, and other activities also are great ways to keep your body in top physical condition. There is no better illustration of the importance of physical fitness than to analyze the training amongst our Formula 1 drivers. Formula 1 epitomises the quest for maximum performance – drivers now use the same training techniques as top athletes to improve strength and endurance. These drivers have to maintain a perfect level of concentration throughout the race with all the senses at their peak awareness. During a Grand Prix, the pulse rate of a Formula 1 driver hovers around 160 beats per minute and has peaks of over 200. The pulse rate of a healthy young man is typically in the region of 60 beats per minute. The G-forces require that specific muscles groups be developed, one of the most important beings without a doubt the driver's neck. The McLaren Team is an excellent example of how driver fitness is recognized as a key component of ultimate performance and safety. The McLaren Team believes being at the top in Formula One does not only mean spending time and effort on making a car go quicker. F1 teams have become more and more aware of the importance of keeping drivers in top physical and mental condition in order to enhance the global team performance. The tools of the McLaren Lab are sub-programmes that focus on cardiovascular fitness, biodynamic factors; such as musculoskeletal balance, flexibility and strength – nutrition, mental energy and general health. Strength is tested with a series of exercises: three varieties of abdominal crunch (to failure), dumb-bell shoulder press (as many as possible in one minute), leg press (pushing against an immobile footplate that measures the force in kg), and two standing exercises where the subject pulls against a load while wearing a harness. Cardiovascular fitness is tested with a fearsome VO2 max test using static bikes and heart-rate monitors. This is complemented with biodynamic assessments, blood tests, and electrocardiograms. The VO2 max test measures the body’s maximum capacity to transport and use oxygen during incremental exercise – the V is for volume. It’s one of the most accurate ways of determining aerobic performance, which in turn is a good indicator of cardiovascular fitness. Even though the average driver will never face the driving conditions confronting Formula One drivers - road safety can only benefit by improving the physical fitness of drivers! The main goals of your physical exercise should be to increase your heart rate and increase the capacity of your lungs. By exercising regularly, you'll see an improvement in the quality of your sleep and the cycles and phases of sleep will become smoother and more regular. Regular physical activity may also improve your overall health and your emotional well-being as well and help you to deal with the stress and worries of your life. In order for your body to function in a healthy manner, you need to have a certain amount of physical activity during the day and rest at night. This means you should not be exercising 3-4 hours before going to bed. Ideally, you should exercise in the late afternoon or early evening hours, as this will allow you to expend your physical energy long before your body readies itself for sleep. Fully equipped gyms with fitness trainers are assisting people to increase levels of physical activity. Cardio training is one of most crucial elements of physical training - cardio training will strengthen the muscles that are involved in respiration thus greatly improving your ability to get oxygen into the needed muscles, heart and lungs. This combined with the fact that cardio training increases your ability to expel waste (CO2) and you’ve got a training method that will greatly improve your endurance. Running, biking, running/walking on a treadmill, dancing, and jumping rope are all good activities to help you increase the amount of oxygen that reaches your bloodstream. Swimming is a fantastic exercise for building up your cardiovascular endurance and unlike other exercises has fewer and more simple drawbacks and is also a rather inexpensive exercise to perform. While swimming is nothing new to cardio training, the use of the Stair Master or Stair Climbing machine is a rather new trend that’s catching on rather quickly. There are also some non-aerobic exercises that can also help you overcome amnesia, including yoga and Tai Chi. Even the driver without time or financial means to exercise in a gym on a regular basis can add moments of activity into his schedule. Taking the stairs instead of the elevator or cycling to work might enhance your physical fitness. Even something as simple as parking your vehicle in a spot further away from your destination might benefit your physical well-being. Stay physically fit! Walk for at least 20 minutes five times a week or the equivalent. Gardening, golf, tennis, and other sports can also help keep you in good physical shape. The aim of determining fitness to drive is to minimise the risk to the individual, and other road users, while maintaining appropriate independence and employment. Health professionals are very important in determining the fitness to drive – not only of elderly drivers but also of people recovering from accidents and other trauma. When drivers are using medication and the instructions fail to provide advice on the effect that the medication might have on safe driving, it might be best to check with the doctor or pharmacist to make sure. Doctors might also advise on physical therapy, medicine, stretching exercises, walking or fitness programs or refer you to other fitness professionals. Drivers should never overestimate their fitness to drive. It is better to consult with your physician and to refrain from driving for a while than to face the consequences of a tragic accident. Leg stretch: Stand on one foot and place the heel of the other foot on the bumper of your car. Bend over and touch your toe. Change legs and repeat. This movement helps to relax the calf and thigh muscles that become contracted while operating the foot controls. Calf Stretch: Find a curb and place your toes on the curb and your heel on the surface below. Rock your weight forward until you feel a slight stretch in the tendon or your calf. Twists: Stand with slightly bent knees. Hands at your sides. Relax. Twist your waist back and forth swinging your arms out fully letting them flail along. This seemingly simple movement has many, many benefits. First, it helps to realign your back, especially the vertebrae in the lumbar region. These vertebras get compressed while driving. Second, it gives your internal organs a good massage, helping them do a more efficient job. This internal massage leads to improved circulation and better digestion. Arches: Stand about three feet from the side of your car facing away from it. Reach up with your hands over your head. Arch your back and reach behind you to grab the rain gutter or roof rack. Lean on the back trying to touch your head to the window. Hold for at least 30 seconds. This exercise is a great overall stretch. It eliminates most back pain due to driving and is an excellent tummy toner as well. Fender push-ups: Stand about three feet away from the fender of your car facing it this time. Keep your legs and back straight and lean over and support your weight on the fender. Now, bend your elbows in a push-up motion. This will give you a light shoulder tone up and enhance circulation. To improve overall conditioning, health experts recommend at least 30 minutes of moderately intense physical activity on all or most days of the week. Examples of moderate activity include brisk walking, cycling, swimming, or doing home repairs or yard work. If you can’t get in 30 minutes all at once, aim for shorter periods of activity at least 10 minutes-that add up to a half hour per day. It has been said that taking a brisk walk every day can help make you a safer driver. We owe it to ourselves, our loved ones and road users around us to do our utmost to be safe at the wheel. May we constantly improve our physical fitness and driving behaviour!